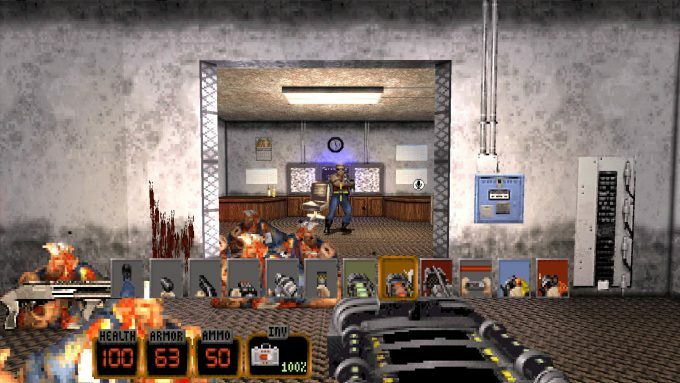 Duke Nukem 3D: 20th Anniversary World Tour – Blatant Cash Grab Or Genuine Homage To The King? 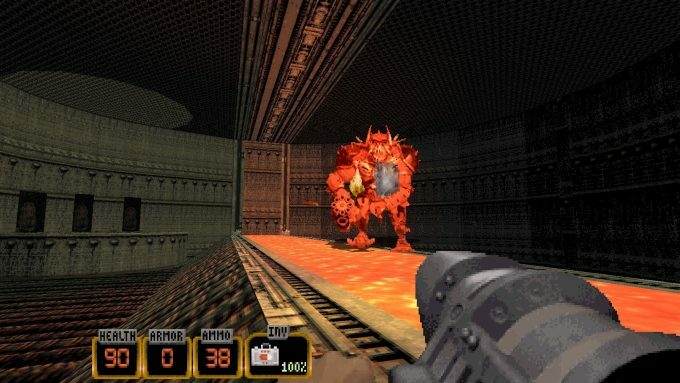 Duke Nukem 3D is back. Yup… again! This time, it’s to celebrate the original release’s 20th anniversary. To pull it off in style, this version of the game includes a brand-new fifth episode, “Alien World Order”, commentary from two of the original designers, fresh voice clips from Jon St. John, and enhanced graphics. It’s time for another Duke Nukem game that’s a remake of the classic: Duke Nukem 3D. This one is called 20th Anniversary World Tour, and a quick glance at its $20 price tag might bring forth an obvious question: is this a cash grab, or a legit release? Let’s tackle that. 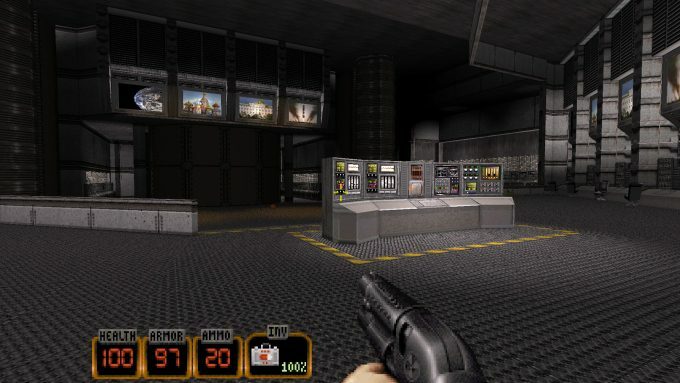 Duke Nukem 3D is one of my favorite games of all time. I spent countless hours playing the original release, both online and off. I tested out a slew of mods and total conversions. In the years that followed the game’s original release, I ended up playing it on a handful of different platforms. I’ve played with the high-res pack. I’ve played the Megaton Edition. 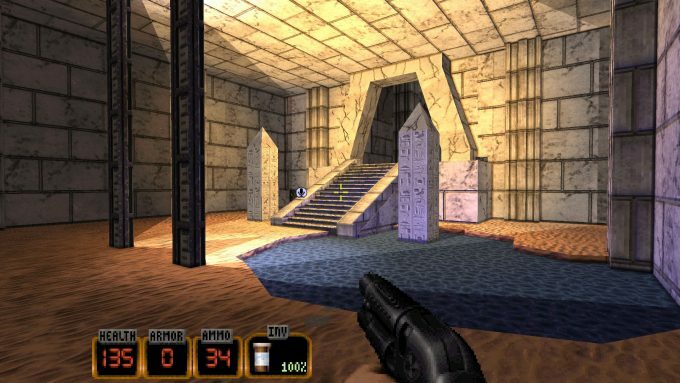 I even felt a punch to the gut at the news that 3DRealms was closing shop (hint: it never happened). It’s no surprise, then, that when the 20th Anniversary World Tour came out, I snapped it up. In doing so, I knew what I should expect: the same game I’ve played many times before – with some minor modifications. Well, I was a bit off, but not too far. 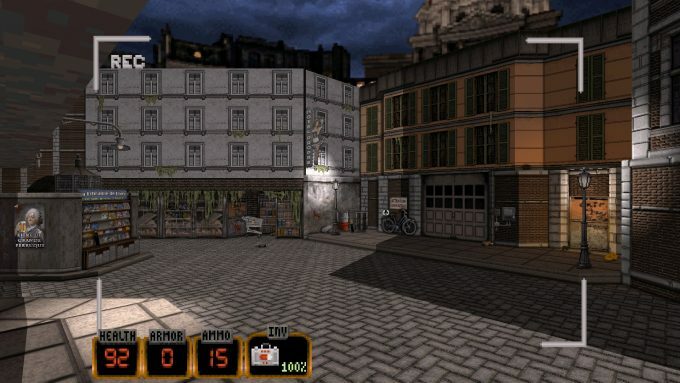 This particular Duke Nukem 3D release has a major feature that sets it apart from every single other version: it has a fifth episode. While the original release had three episodes total, the Atomic Edition upgrade boosted that to 4. Now, 20 years later, we have a fifth episode, built by legendary designers Allen Blum III and Richard “Levelord” Gray. It even features fresh speech from the original voice actor, Jon St. John. All of that alone is worth the price of admission for me, but what about you? 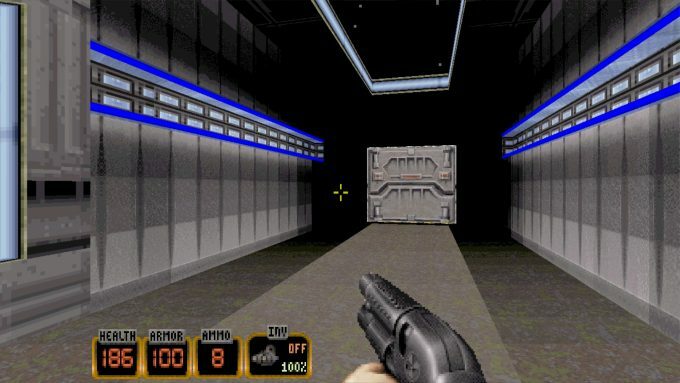 Duke Nukem 3D: The classic. It can be played as is, or enhanced with eDuke32. You’ll need to obtain expansions on your own. 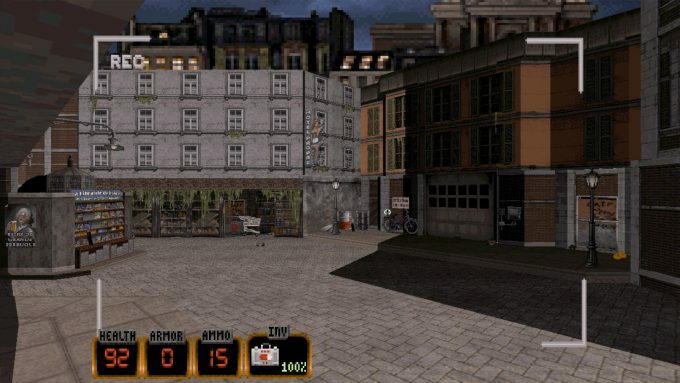 Duke Nukem 3D: Megaton Edition: Enhanced engine, and includes three add-on packs (Caribbean: Life’s a Beach, Duke it out in D.C. and Nuclear Winter). 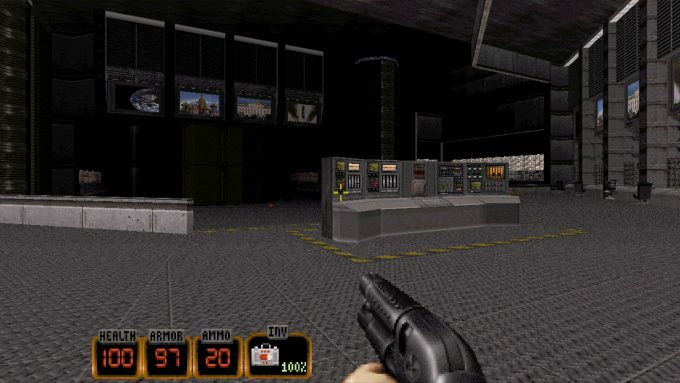 The classic version of the game included can be enhanced with eDuke32. 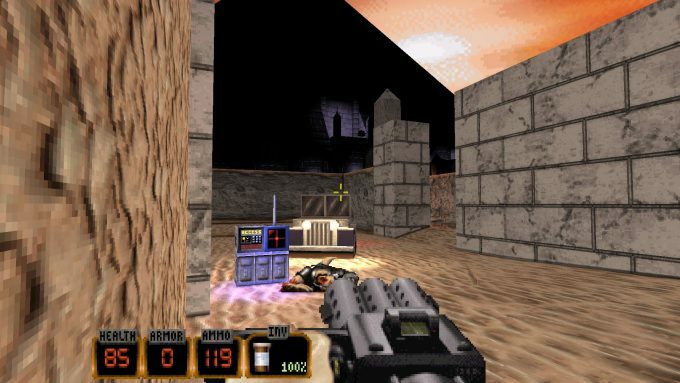 Duke Nukem 3D: 20th Anniversary World Tour: Enhanced engine, and is the only version to support the fifth episode “Alien World Order”. It also includes commentary in half of the levels from Allen Blum III and Richard Gray, fresh voice recordings from Jon St. John, a new Incinerator weapon, a new Firefly enemy, and a new musical score by the original composer, Lee Jackson. This version features a new file structure and is incompatible (at the moment) with eDuke32 (and likewise the HRP). As for the new Firefly enemies and Incinerator weapon, both are worthwhile additions, but neither are game-changers. The Incinerator is just as it sounds; it melts enemies with extreme heat. I did find this weapon quite a bit of fun to use, as it was quite effective, and I loved the effect of enemies burning to the ground. The Firefly enemy will be love-it-or-hate-it; these guys float around and have the ability to shrink themselves to hide in the general environment. That means that they’ll sneak up on you on occasion, sucking down some of your valuable health before you even realize what’s happening. So what about that new episode? “Alien World Order” features a total of eight levels, one of which I haven’t been able to play yet as I’ve been unable to find the secret exit in one of them. But, it doesn’t take that secret level to realize that this episode is awesome. It truly is. I went into it not expecting too much, but I quickly found myself having an absolute blast. 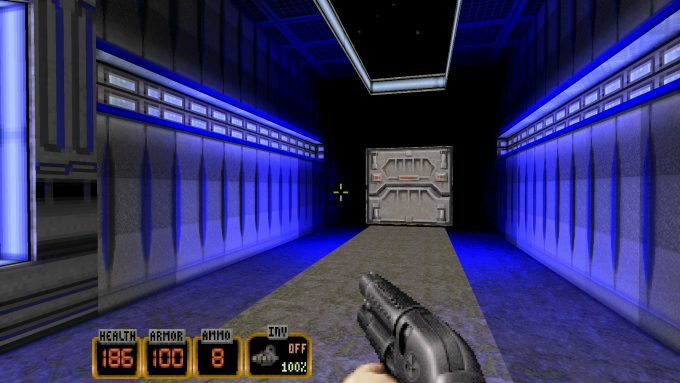 The levels fit right in with the Duke 3D universe, although in some ways, they feel a little more advanced than the levels in the original four episodes, especially with regards to their size. Throughout the episode, you’ll get your marijuana on somewhere in Europe, travel through a desert wasteland into a pyramid, hit up San Francisco after its precious Golden Gate Bridge has been destroyed, and finish up in… Hollywood (we’ve come full circle!). While I found that the entire last level leaves a bit to be desired, the rest are very satisfying. 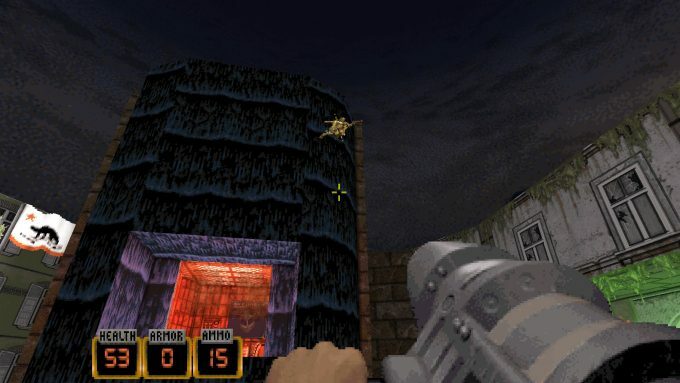 I am not going to spoil much about this exclusive episode, but will take this opportunity to show one thing new to this Duke 3D release: a weapon carousel. In the heat of battle, this carousel is… well, awful. Just awful. When you scroll with your mouse wheel, this weapon selection will pop up, and you’ll be able to continue scrolling until you get the weapon you need. In theory, this might seem suitable, but it’s not when you’re in the heat of battle. Ideally, we’d be given the option to automatically change weapons with the flick of the scroll wheel. Instead, this carousel pops up and makes it very difficult to choose the exact weapon you want that quickly. This would be suitable for occasions where no enemies are surrounding you, but that’s about it. On the PC, you’ll want to stick to the row of number keys; for console users, you’re stuck with this painful carousel (I also own the PS4 version, and I can attest to it being far from ideal). 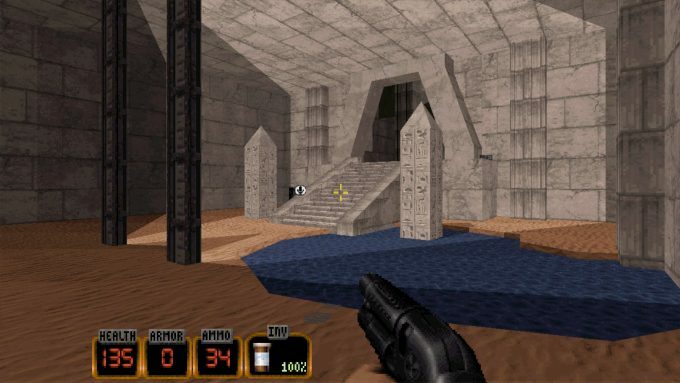 With regards to engine upgrades, I will say that all versions of Duke 3D offer their own perks, but to me, absolutely none of them hold a candle to the original game coupled with eDuke32 and the High-Res Pack. It’s the only solution I’ve seen that actually turns all of the game’s one-dimensional sprites into full 3D objects, and like this latest release, it sports fantastic lighting capabilities. To me, this is the de facto version of the game to play, unless you want to go true nostalgia and play the vanilla (or Atomic) version. Where the 20th Anniversary World Tour improves things over the original (but not over eDuke32) is with the mouse movement. 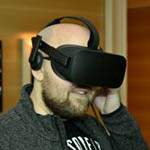 In the original release of the game, you didn’t need to look up and down – the game just knew what you were aiming for; in this latest release, it simply feels much more natural. A problem will quickly arise, though: the enemies are all still one-dimensional sprites, so you might look up and feel like an enemy is about to vanish into thin air. It doesn’t feel natural in the least; it feels much better with the High-Res Pack. It’s impossible to say that one example is better than the other, given this kind of thing is subjective, but this does show that the enhancements in this latest release of Duke 3D are far from major. They’re definitely appreciated, but if your goal is improved graphics, there’s only one realistic option. That all said, one nice addition in this version over previous ones is that the backgrounds of the levels have been made a little more congruent with the rest of the level. In the original game, looking left to right would result in the background following you, to some degree. It’s an odd perspective, and highly unrealistic. In 20th Anniversary, the backgrounds are more static, not screwing with your perspective as you look around. It’s a simple enhancement, but an important one. Now, that all said, I couldn’t finish up this look without a side-by-side (ahem, top-and-bottom) comparison of new versus old. But, unlike before where I’d use entirely different versions for screenshots, the 20th Anniversary keeps things faithful to the old version if you want it (you can push C to switch between the modes), so I used it to highlight the differences. The following screenshots show the old version first, followed by the enhanced version. When comparing the two modes this way, it’s incredibly easy to notice the differences, but funny enough, there were times when I was running the original version’s graphics and didn’t realize it until I nearly completed a level. That’s largely for two reasons: sometimes, the game doesn’t automatically enable the enhanced graphics (I’m not sure why), and secondly, the game is still full of clear pixels in the textures, so it’s not as stark a contrast as it would be with the High-Res Pack, for example. Still, I always preferred to play with the enhanced graphics, because the lighting effects alone were worth it. One thing you might find yourself doing, though, is switching between the two modes at various points, for the sake of improving what you can actually see. With either mode, some areas in the game might be way too dark, but not as dark with the alternate mode. An example of this is perfectly seen in the top two images of the set above; in the old version, you can’t see at the end of the hallway, or outside the long window to the right. With the enhanced version, that’s not the case at all. Sometimes, the alternate graphics mode doesn’t help here, though, which can be seen underneath those examples in a space station level. 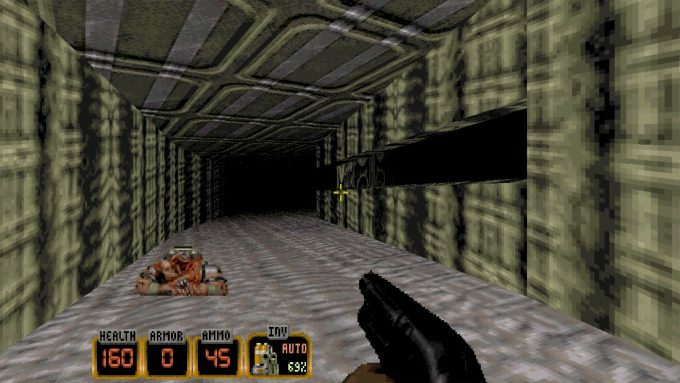 Even though the player isn’t far from the door in that particular shot, the shadow surrounding it is dramatic. One thing I haven’t touched on up to this point is multiplayer, and that’s simply because I could never find anyone online. This is pretty expected, honestly, because there are only going to be so many fans that are willing to purchase yet another edition of Duke 3D. The same problem existed with the Megaton Edition, but fortunately, this particular version doesn’t have any achievements that tie into MP – it’s as if the developers were more realistic this time around. Unlike the Megaton Edition, 20th Anniversary includes a bot option in case you really want to feel like you’re actually playing the game online. And like the Megaton Edition, this new one includes co-op, in case you wish to play through any of the game’s levels with a friend. 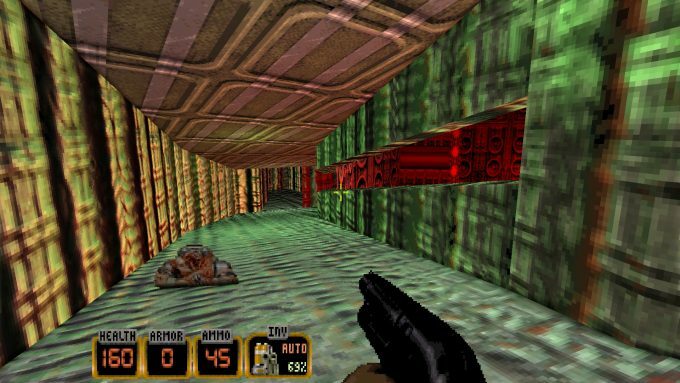 So… after all is said and done: is Duke Nukem 3D: 20th Anniversary World Tour worth your hard-earned $20? Or even your poorly-earned $20? If you are a diehard Duke fan, then you’re unlikely to feel that ripped off. The fifth episode and commentary are great, and all of the other little additions help make this feel like a good version. That said, it shouldn’t cost $20, especially for those who owned the Megaton Edition, which isn’t being sold anymore, but remains in Gearbox’s inventory. If you’re not a diehard fan, but want to relive a classic, the game is worth it – mostly because the Megaton Edition isn’t available anymore. That version came out 3-years-ago for a meager ten bucks, and included not just three expansions, but also the entire original game which could be paired with eDuke32 and the High-Res Pack. The value there was super-high. But here, we’re talking $20 for a game that’s incompatible with eDuke32 and the myriad mods that have been released over the years. Ordinarily, I’d recommend sticking with the original release, but since Gearbox has also pulled that from the digital store shelves (so kind of it! 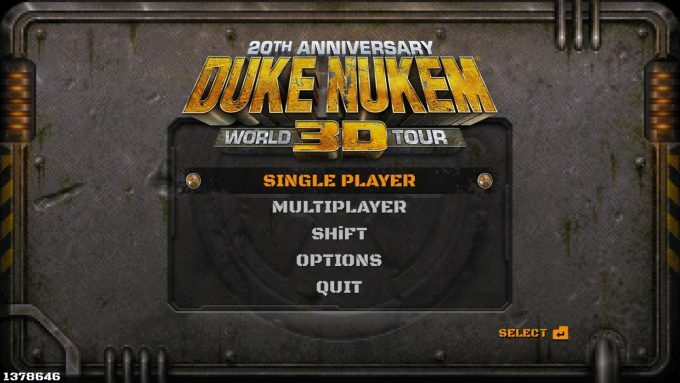 ), 20th Anniversary becomes your only real Duke 3D option right now. Unless of course you still own an older copy, at which point I’d recommend sticking with it and pairing it with eDuke32 (and the High-Res Pack). Then, once the 20th Anniversary version goes on sale, snap it up. The new “Alien World Order” episode is great! The commentary feature is sure to be appreciated by any Duke fan. Enhanced engine and graphics make a dramatic improvement without sacrificing the classic feel of the game. New and remastered lines from Jon St. John. A “Legacy” Duke talk option is available for those who like the original grittier sound. 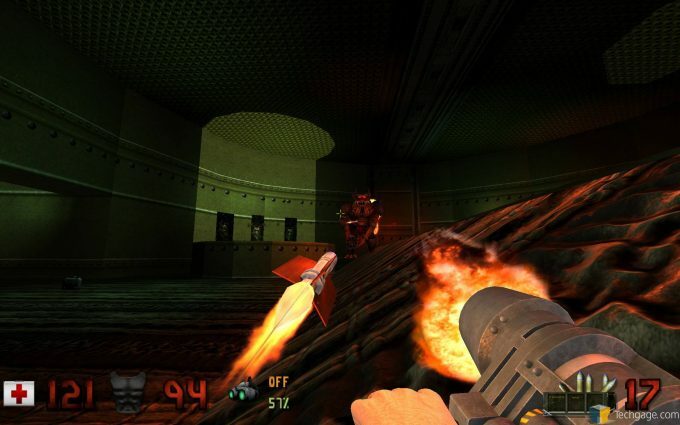 Firefly enemy and Incinerator weapon are neat additions, but it’s a pity they remain exclusive to the fifth episode. Supports multiplayer (co-op, bots, online DM). Not compatible with eDuke32 (or High-Res Pack). This could change in time. $20 price tag is high, considering the Megaton Edition cost $10 at its release and included three full-blown expansions.